Alejandro Casabona has been everything in public Spanish life: a major businessman, a patron and a political figure (firstly in the struggle against Franco, then as parliamentary leader during the Transition). At almost ninety years old, he is still active and influential until he dies suddenly for mysterious reasons at a gala dinner at the Royal Palace before the stunned gazes of the royals and his young third wife. In his will, he leaves a substantial legacy to an institute of business ethics but before accepting it, the director of the institute commissions the investigator Víctor Balmoral to find out just how ethical Casabona was. more complicated than he initially thinks. 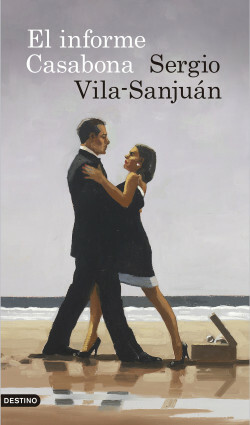 With this novel, Vila-Sanjuán begins a series featuring a journalist turned investigator with in-depth knowledge of the secret life of the city.